The Google Maps team is making navigation through public transit much more intuitive and convenient. 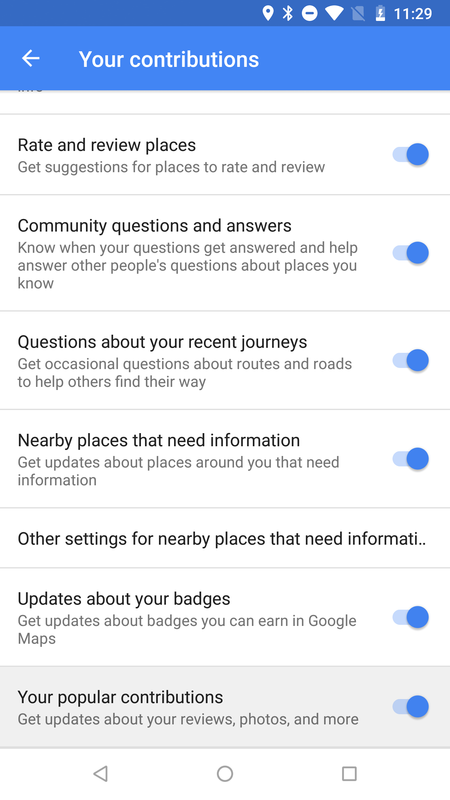 Starting with Google Maps 9.68 (the previous version), you'll now receive notifications with your transit directions, including helpful indicators and time estimates. 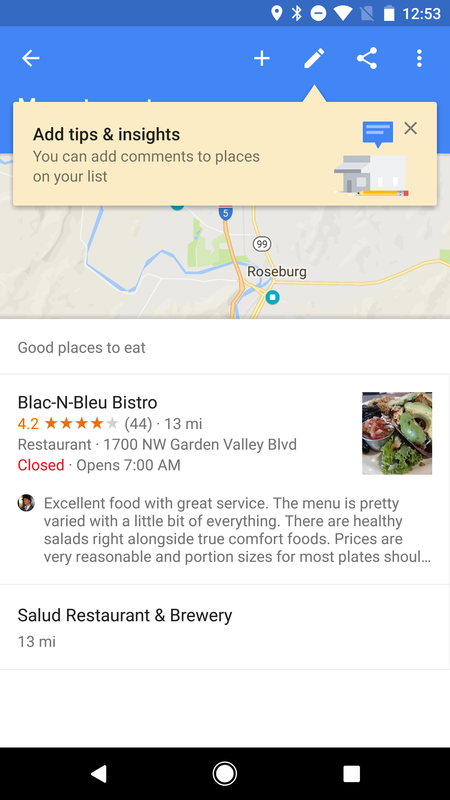 As you move from place to place, Maps will update the notification to reflect each step of the way, much like it does for driving navigation. 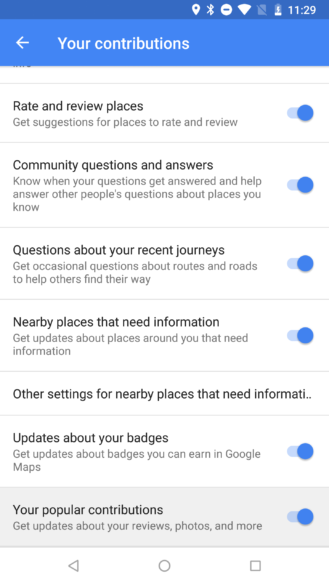 Our previous teardown turned up signs that this was coming, but settings for this feature have been around for months, and this is just the latest in a series of improvements targeting transit navigation. In fact, an early version of transit navigation (including notifications) was first launched back in 2011. If you're browsing some of your lists since the latest update, you might notice they're looking a little more information-dense. 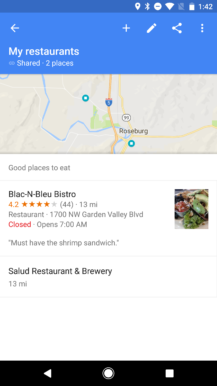 That's because your written reviews now appear below each location. Only the first few lines of text are shown, but tapping on the review will expand it to full length. Local Guides spent a few months testing Lists before they were ultimately rolled out to all Android and iOS users in February, and then the web app last month. They have a simple social element, allowing users to share and follow other peoples' collections. But since launch, Lists have remained a bit barren, only including a title, description, and of course the locations. Now the Maps team is adding a little more customizability as users can now add comments to locations in their lists. Adding a comment is done by tapping the edit (pen) button in the action bar while a list is open. A new text box will appear below each location in the list. Just enter a comment and hit save. The comment will now appear below the location in the list. Only one thing can occupy that space, so if you have also written a review for the same place, your comment will take priority. These comments look reminiscent to the "personal notes" feature that began appearing in a teardown of v9.60 (which is still in development), but the hint text indicates that anything recorded here will likely also be visible to anybody that has access to the same list. However, I haven't seen the comments if I visit a list through a shared link, so that functionality may not be complete yet. There's a new notification toggle in Settings -> Notifications -> Your contributions. This one promises to let you know if any of your reviews, photos, or other contributions end up becoming popular. If you're looking for a little confirmation that you've helped to make better maps, this might just be a good one for you. The setting is enabled by default, but the notification it produces will come with an easy opt-out button if you would prefer not to get another. A notification channel has already been available for this feature on Android 8.0 Oreo devices. It's not clear if these notifications were popping up yet or not. Sometimes we really want to give people a constant feed to our current location. It's helpful for letting them know we're on the way to meet them, or to let them find us in a large area a little more easily. There are other times that we only need to give them a single point of reference, and it doesn't need to follow us around once we leave. Currently, we can only share our real-time location, but it looks like the Maps team is going to add an option to share only a current position that remains locked in place. Once this goes live, it will probably be located within the blue dot menu (tap on the blue dot), and likely also in the location sharing screen accessible from the navigation drawer. Sometimes the longest part of a drive is the hunt for parking that comes after reaching your destination. Five minutes of travel sounds good until it turns into twenty minutes of circling the block. 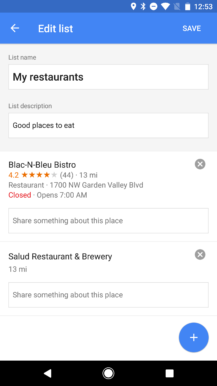 Google Maps may begin doing a little more to encourage hopping into a cab so you can step out at the front door rather than wasting time, space, and money for parking. Finally, there's a new label that suggests transit schematics may be linked from within the app. This can be handy when a city map is a little better at representing train or bus routes than the lines you'll get from looking at the overlay provided by Google Maps. I had thought this was already a feature, but after poking around through a few subway locations, none of them appear to link to any maps. Perhaps I'm overlooking something, or maybe these maps were only available by tapping through to the respective transit authority websites, then opening the maps from there.